The Sport-Tek Youth Tipped V-Neck Raglan Wind Shirt Style YST62 is available in Youth Sizes: XS(4) S(6-8) M(10-12) L(14-16) XL(18-20) and can be purchased in your choice of the following colors: Black/True Red, Black/White, Forest Green/White, Maroon/White, Purple/White, True Navy/White, True Red/White and True Royal/White. The Sport-Tek Youth Tipped V-Neck Raglan Wind Shirt Style YST62 is available in Youth Sizes: XS(4) S(6-8) M(10-12) L(14-16) XL(18-20) and comes the following colors: Black/True Red, Black/White, Forest Green/White, Maroon/White, Purple/White, True Navy/White, True Red/White and True Royal/White. 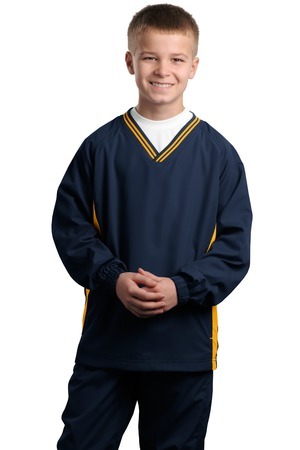 Be the first to review “Sport-Tek Youth Tipped V-Neck Raglan Wind Shirt Style YST62” Click here to cancel reply.